Patrick Thrush was driving north on 27th Street E when he saw what he thought was an airplane in trouble descending toward the Braden River. As he reached the intersection of 27th Street and Manatee Avenue the object had disappeared below the horizon. Thrush turned west on Manatee Avenue and drove the short distance to the river. At the river he pulled his car off the road onto an embankment, as he started to turn the car around, the high beams from his car picked up a silvery reflecting object hovering 20 feet above the river. A tube extended from the object to the surface of the water. "I just sat there a second," Thrush stated, then he took his camera from the car and took two photographs, using a strobe. The camera was a Canon FT-QL with a 55mm lens. The object moved toward the car and descended slightly, passing over the hood of the automobile, missing the car by about seven feet. Thrush heard something hit the car hood; the object changed direction and moved rapidly to the west, in a curved path. When the object first began to move it was a pale bluish-green. As it picked up speed it changed to a reddish-orange and rapidly disappeared in the distance. Thrush found three rocks in front of the car, which were warm and dry. They were about one-half inch in diameter. He gave two of the rocks to Bradenton Police Patrolman Christ Scmidt. The rocks were analyzed as iron pyrite, a substance native to South America. The stones were not radioactive. Thrush estimated that the object was about 30 feet in diameter and about 11 feet thick. It was about 35 feet from shore while stationary. At about 2050, John Dowdy was driving on the Morgan-Johnson Road about 2 miles west of Thrush when he saw a bright orange object moving at high speed. The object turned southward, slowed to a stop and disappeared. In the same time period, George Montgomery glanced out of a west window in his home in Palma Sola to see an unusual light in the sky. The light consisted of a bright light with smaller lights above and below it. The two merged into the bright light and disappeared, after about 5 seconds. The remaining rock is being analyzed at the University of Florida by Dr. Larry Doyle. Doyle stated that a preliminary examination showed the rock to be a cinder produced from an extreme heat source. Further analysis is being done. MUFON UFO SYMPOSIUM PROCEEDINGS, 1974, pp. 52-52. © MUFON 1974. 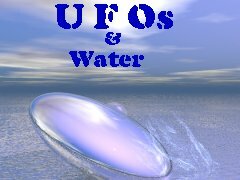 With thanks to MUFON and John Schuessler for permission to post to this website.